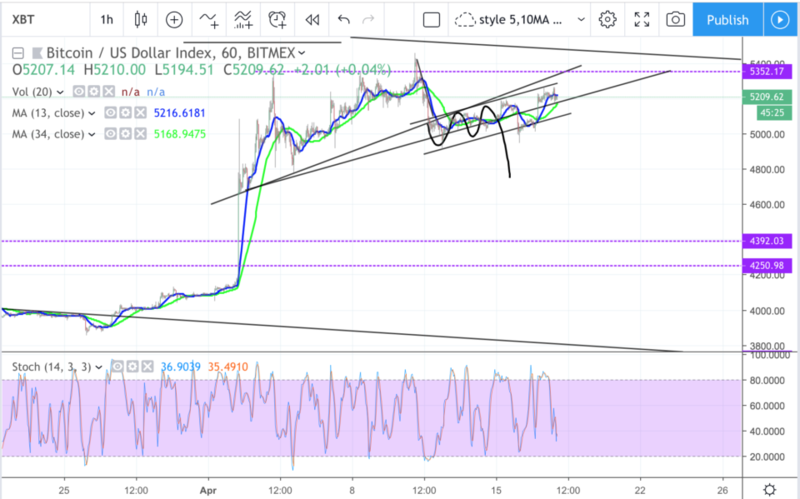 On 4hr chart, seem like the short sell off didnt have much strength yet, bulls quickly come in to buy up the price, still consolidating within the bear flag. stoch price bear divergence, possible reversal around 5200 zone resistance. Might still have some FOMO pushing it up till 5400 again before the next pullback. Drew third angle for possible ascending triangle with the recent low, consolidation still possible as this new angle give a long time till apex.